A massage that focuses on deeper layers of muscles and connective tissue. May include some stretching and other range of motion modalities. The pressure is deeper and concentrated on areas of tension and pain. More of a traditional massage used as a tool to increase circulation, reduce stress and relieve tension. Light to medium pressure is used for a relaxing experience. Treatment involving plastic or glass cups that are suctioned to the body in specific areas to increase circulation, relieve pain, and loosen tight muscles and fascia. We integrate massage into our 60 and 90 minute cupping sessions for optimal benefit. Therapeutic Massage with the use of a Mentholated lotion for deep-cooling pain relief. Fast-penetrating, it relieves aching, inflamed, or sore areas to bring overall comfort. Pregnancy massage is specifically tailored for the expectant mother’s needs. The mother’s body is properly positioned and supported during the massage, using a special Pregnancy Pillow to ensures comfort and safety for the mother and baby. The reflex points that are targeted are in the hands and feet, but are connected to body systems and internal organs, from the lymphatic system to the bladder. In a reflexology treatment, pressure is applied to certain sections of feet and/or hands. Student Discount of $5 off A Single CryoSauna Session when Checked in on Social Media. ** Packages are to be used within 31 days of Purchase and do not roll over of not used. 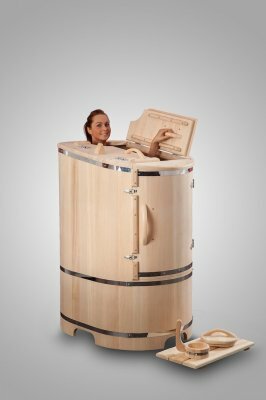 Single person Cedar Barrel Steam sauna allows the body to detox and improves circulation. Student Discount of $5 off A Single Steam Sauna Session when Checked in on Social Media.